The tick population has exploded this year and that’s nothing to take lightly. 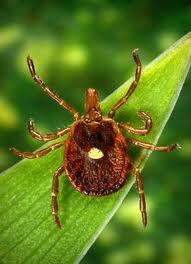 The upper Midwest has a large population of the wood or dog tick and the deer or blacklegged tick. The deer or blacklegged tick is the most dangerous and are quite tiny, often compared to the size of a poppy seed. They can carry and infect you with some pretty serious illnesses, so it’s important to take preventative measures. Keep a well-maintained yard. Ticks like to live in tall grass and heavy brush, but also lay their eggs in old leaves, so make sure you clean up good after the autumn leaves fall! Use tick repellent. Ideally, something that contains 0-50% DEET or 0.5% permethrin is best. Protect your pets. Ask your veterinarian to recommend a product to protect your pets. Treat your yard. A1 Exterminators can apply a landscape treatment that target adult and immature ticks.